An Electric Actuated PVC Ball Valve that offers excellent value for your On/Off application. Suitable for use with a wide range of chemical, water treatment, clean water, swimming pool and light industrial applications. A great all round electrically actuated PVC valve. 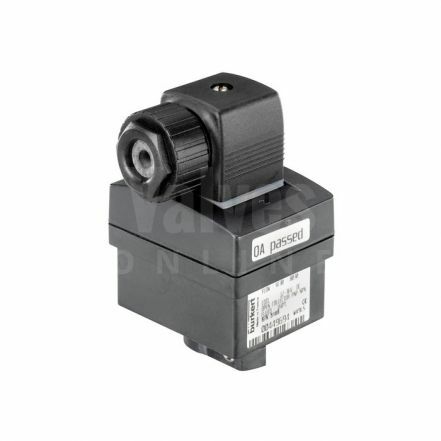 The electric actuator provides power open and power close operation, having many extras as standard such as the manual handwheel that opens and closes the valve, limit switches, optical indicator and anti-condensation heaters. Easy to wire, install and commission. The industrial series WRAS approved PVC-U ball valve with EPDM / PTFE seals, seats is available with threaded ends or solvent socket (we supply both metric and imperial end to avoid any confusion), it has a specially designed mounting platform that couples both valve and actuator together. The ball valve has WRAS Approval, with the material meeting the requirements of the Water Regulations Advisory Scheme for potable water. A valid certificate and approval number can be obtained upon request. Electric Actuated Ball Valves are designed to meet the demanding needs of today's process flow control requirements. During build up all actuated packages are rigorously inspected, and 100% factory tested prior to dispatch.